The founding of the Iroquois Confederacy of Five Nations came about in a campaign to bring peace to the warring, yet related tribes of the region around New York and the eastern Great Lakes. In 1722, these Native American people absorbed the Tuscarora tribe who were displaced from North Carolina and Virginia, their numbers greatly reduced by violence, enslavement of their people, and theft of their territory. The Iroquois then became the Six Nations. The five original tribes were, from west to east, the Seneca, Cayuga, Onondaga, Oneida and the Mohawk. They did not call themselves the Iroquois Confederacy or Confederation in historic times. They referred to themselves as the Haudenosaunee, which means “people of the longhouse.” They lived in longhouses measuring between 50 and 150 feet long (15 to 45 meters) that held up to 50 extended family members. 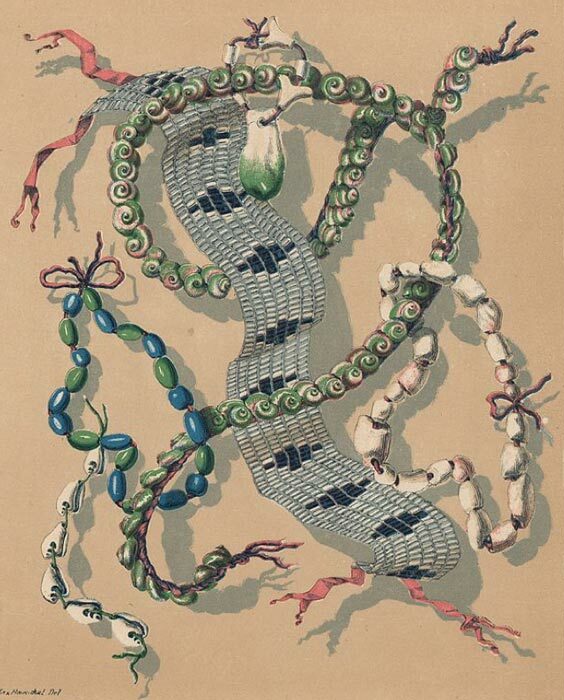 The Iroquois imagined their confederacy as an extended, symbolic longhouse that reached 300 miles (482 km) in length. The Seneca guarded the symbolic western door and the Mohawk guarded the east, according to the website Countries and Their Cultures’ article on the Iroquois Confederacy. Deganawidah, or The Peacemaker, a Huron, inspired the famous Onondaga hero Hiawatha to lead his people in peace, civil authority, righteousness, and the great law, according to Britannica online . The encyclopedia Britannica says the Iroquois people joined together to repel invaders. Iroquois law was set by a supreme council of village and clan chiefs. Each tribe had a vote, and all must agree before a decision was implemented. “Under the Great Law of Peace (Gayanesshagowa), the joint jurisdiction of 50 peace chiefs, known as sachems, or hodiyahnehsonh, embraced all civil affairs at the intertribal level,” Britannica says. The five tribes, who are in one language family, banded together to end their own infighting but also to defend against neighboring Algonquian tribes to the north and south and any others in the area. Ending their own infighting made them less vulnerable to attacks and war raids by outsiders. The Iroquois did not share linguistic or cultural roots with the Algonquian people, so it is assumed the Iroquois came from elsewhere. They did share language roots with the Cherokee of the American Southeast, but it is unknown whether the Cherokee went south at one time, or the Iroquois went north. The tribes don’t know just exactly how this geographical rift between the related Iroquois and Cherokee came about. 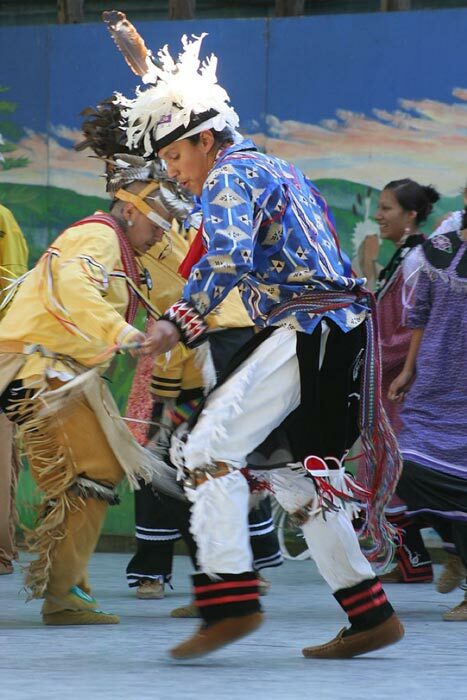 The French made contact and traded with tribes in Canada for about 50 years before encountering the Iroquois tribes. Iroquois raids on other native tribes during this time helped them acquire the metal hoes, kettles, axes and knives of Europeans, which they found far superior to their own stone, shell, bone and wood implements. Wars between the French-allied tribes, some of whom were armed with firearms and metal armor, prompted the Iroquois to adopt guerrilla warfare because they were outgunned. Stealth, surprise, and ambush became the method of warfare for the Iroquois. 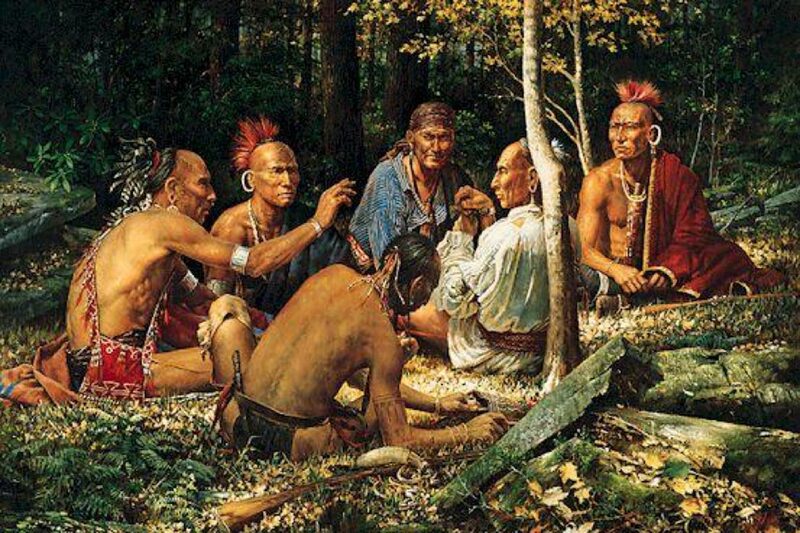 The Iroquois sometimes captured people and adopted them into their tribes. The website says they tortured some other captives to death. As the decades progressed, the Iroquois people contended with the French and Indian War and the American Revolution. The Iroquois nations could not agree on whom to ally themselves with, and so at times they went to war against each other again. The wars reduced their population, of course, but now the tribes have built up to about 125,000 people, who live on seven Iroquois reservations in New York, one in Wisconsin, and two in Canada. Iroquois food consisted of stuff gathered and hunted. Their crops were the traditional Three Sisters: corn, on the stalks of which bean vines grew, and squash that covered the ground and kept the weeds down. The Iroquois Confederacy article on the website Countries and Their Cultures has sections on Iroquois culture, cuisine, festivals, death and burial, language, family, marriage, and education In addition, the article covers, arts, literature, religion, government, and employment and economic traditions.